The SevenVenues Box Offices and Ticketmaster are the only authorized sellers of tickets for all SevenVenues events. Ticketmaster Verified Tickets is the only authorized re-seller of tickets. Tickets purchased from other sources may not be valid, subjecting you to fraud and offering no recourse to recoup your loss. 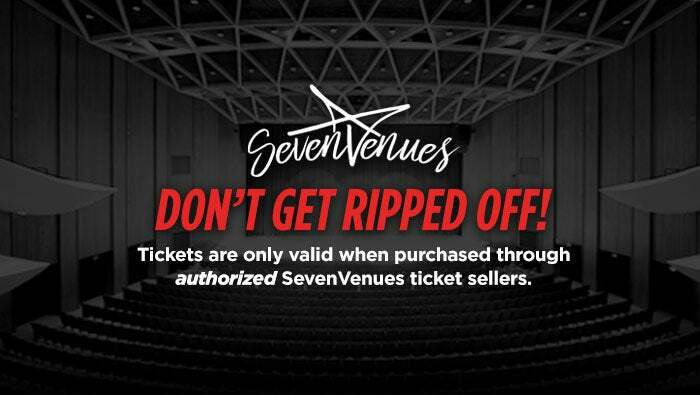 SevenVenues is not responsible for tickets purchased anywhere other than Ticketmaster or through the SevenVenues Box Offices and will not honor, exchange, or refund counterfeit, duplicate, or invalid tickets. SevenVenues tenants (Virginia Arts Festival, The Norfolk Forum, Norfolk Tides, etc.) may sell tickets through their own box offices—if you purchased a fraudulent ticket via a third-party ticket seller, you must contact them directly. Tickets are not yet on sale for Hamilton. The only way to guarantee seats now is by becoming a Subscriber to the 2019-20 season. A public on sale date for Hamilton has not yet been announced. To download the Hamilton FAQ please CLICK HERE.